So I tend to hoard crafting supplies (who doesn’t, right?). My latest collection of supplies happens to be washi tape! 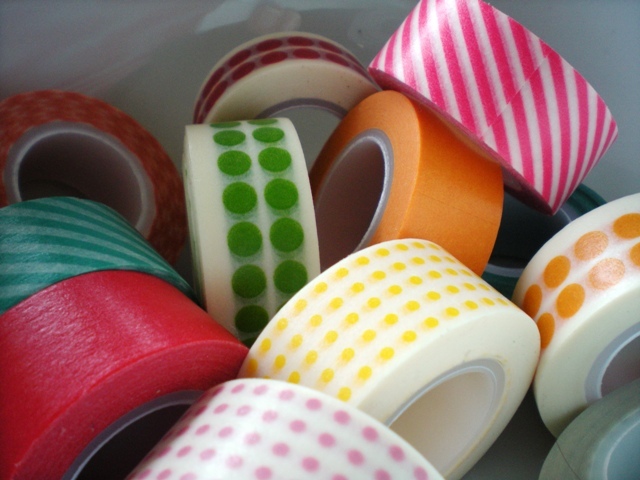 Washi tape is super versatile, not to mention fun to use and experiment with on crafts. It is a quick way to dress up a card, box, or any sort of project. Stay tuned because in a bit I am going to try to make my own washi tape! I will post my progress and tutorial here! What do you do with washi tape? What is your favorite thing about the crafter’s supply?